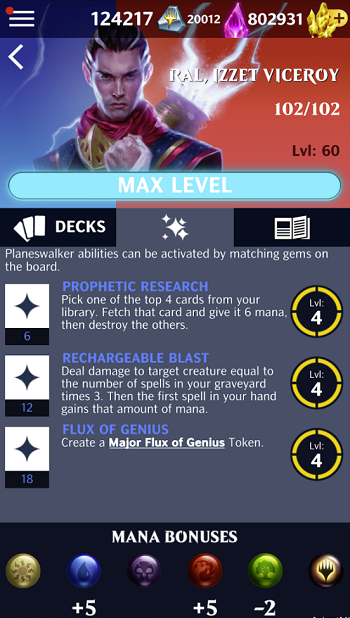 The 3.0 update is bringing a whole variety of new features: a new card set, new event, new mechanics, and a very important community-requested feature: Graveyard Display! Check out the full Guilds of Ravnica Update - New Features blog post where the team breaks down exactly how the Graveyard Display will work, updates everyone on changes to the Standard Format, and provides information on the new Split Cards mechanic. Ravnica is full of interesting characters, and even more interesting are the Guilds that have formed around them. 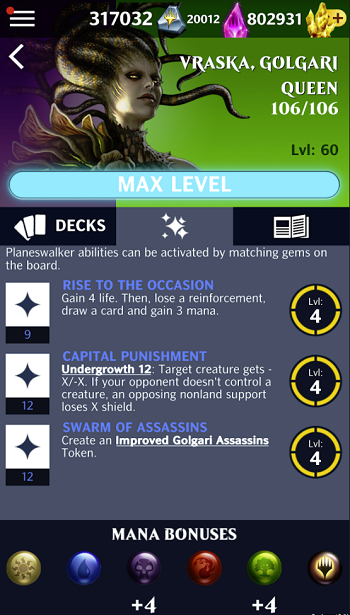 In this card set, we explore these Guilds and what makes them so unique...and dangerous. Not only will there be 200 brand new cards, but also new events, mechanics, and Planeswalkers added to Magic: Puzzle Quest. The Izzet League is known for their bold and chaotic experiments. With Jump-start, players can cast cards from the graveyard, if they've exiled enough cards that had Mana saved up. To depict the contentious battle between guilds, a new event is arriving called Rising Tensions. This event will be replacing Across Ixalan, but don't worry. Across Ixalan will be slightly changed to be a new 2-day event instead. 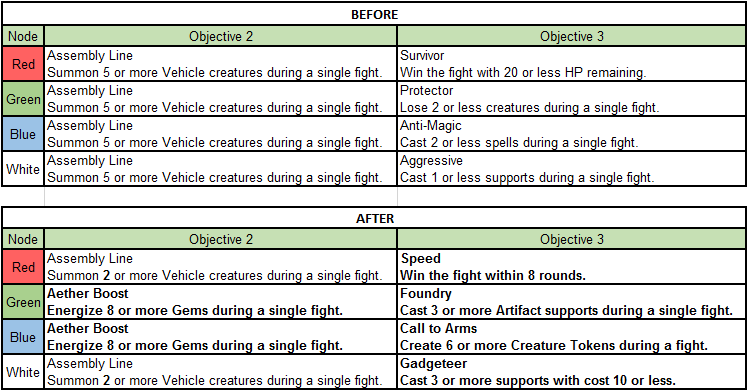 You can read about those changes further down below. As for Rising Tensions, Oktagon's designer Matheus Funfas breaks down the event details down below. If you want to see the full event details, including objectives and node info, you can check out its Event Details page HERE. "The friction between the guilds of Ravnica has never been more palpable. An absent Guildpact has given rise to new guild leaders with unknown agends. In this critical moment, each guild must gather information and seek possible allies." "Everyday a special event support associated with a Guild will affect all the nodes. The Guild is represented both by the event subtitle, the background during the node selection screen, and by the special support. Also, that guild's color combination will not be present on the available nodes during that Guild's day, as its presence is represented by the rules applied to all nodes. Every event support presents its own set of rules that are related to Mentor, Surveil, Undergrowth, Convoke, or Jump-start. These mechanics will be available to both players during the encounter. Hope you enjoy the new event!" With the Guilds of Ravnica set arriving in MtGPQ, comes new Planeswalkers! Check out his abilities below! "On Ixalan, Vraska encountered Jace Beleren - the Living Guildpact and a Planeswalker himself, and discovered the doom that Nicol Bolas planned to unleash on Ravnica. 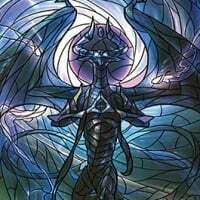 Vraska asked Jace to hold on to her memories of him and of Bolas's plans, resolving to live as a sleeper agent until the moment to return her memories, so she could retaliate against Nicol Bolas in defense of her home." Check out her abilities below! Improved Golgari Assassins: [Indestructible] Support: Can't be Destroyed or Exiled. At the end of your turn, if you control 1 or more creatures and if your opponent lost life this turn, reinforce this support and your opponent loses X life, where X is the number of reinforcements of this support. The Standard Format is changing! Check out the full details in the Guilds of Ravnica Update - New Features blog post! Guilds of Ravnica enters Standard Format. No card sets are rotating out in 3.0. Casting Sphinx's Decree no longer causes a soft-lock to occur, if the opponent has at least one Spell card in their hand. A soft-lock no longer occurs when activating Kiora, Master of the Depths's Crashing Waves ability while Hallar, the Firefletcher is on the battlefield. A World Reborn's event Support no longer counts as the player's Support in the Zhalfirin Void encounter. Sorcerous Spyglass is no longer returned to the player's hand with full mana when it is destroyed, while Crucible of Worlds is on the board. Belzenlok's Demon is now properly buffed when beginning the player's turn while there is a Creature with at least 2 reinforcements after Belzenlok's Demon has been buffed twice. 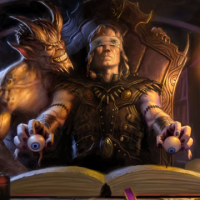 Creates are no longer counted as lost if they are exiled using Karn, Scion of Urza's Legacy ability. Fiery Intervention no longer destroys an opponent's Support, when selecting Not Now on the Casting Prompt, and will remain in the player's hand instead. A Spell card with full mana will no longer be fetched to the opponent's hand, when the player has a full hand and matches one of Chaos Wand's Activated Gems. While Settle the Wreckage is on the battlefield, the opponent's attacking creature will properly be exiled before it can deal damage. If a transforming card is returned to the player's hand, it will properly return as untransformed, instead of as transformed still. The special rules in The Dragon War are now only applied if a Planeswalker's ability is successfully activated. Just one thing: I feel like you could have warned us about the standard rotation changing, since it must have been decided on a while ago. I have been purposely not going after Ixalan cards (and advising newer players not to bother with Ixalan) because it was expected to rotate out once 3.0 came out this month. Knowing weeks ago that it would not rotate would have been much better for everyone. Why the new standard rotation? Is this the new norm (5 sets + Origins), or is this happening temporarily due to some other factor? Whoops, I saw it there and changed my question. Sorry for the quick trigger on the post. Thank you! Most of that looks great and thanks for listening and keeping Ixalan in Standard. The changes to events look great too! I don't think messing with Day's Undoing was a good idea. In fact I'm calling doom right now. This opens up a whole new host of infinite decks. Start chasing that one now boys. EDIT: I didn't read this carefully enough. This change is correcting a behavior when the OPPONENT casts Day's Undoing. I like the look of how they've implemented both graveyard view and split cards. I wouldn't be surprised if there are some random crashes, of course, but at least both of those new features look intuitive and sensible. Nicely done. Thank you for the update @Brigby! Is the team working on any other new events for this set? Your update lists only the Across Ixalan replacement (which looks good at first glance). Should we expect any new PvP or PvE challenges for the next three months? What exactly does does this mean? The wording here is confusing. I'm looking forward for the release, but will mostly hold back my opinion until I really see it. Just one thing : what about coalition events? It feels like this is going into a non competitive single player direction over the last few updates.. The community, hold together by coalition events is the reason I keep on playing (and so lots of others as well). Can we expect something into that direction? Across Ixalan should not be converted to a Legacy event when the set it's from is remaining in Standard. Why the conversion to a 2 day event? If anything, shouldn't TotP be converted in to a 2 day event with nodes refreshing after 24 hours? No fix for the same-side match bug in Duel Decks? 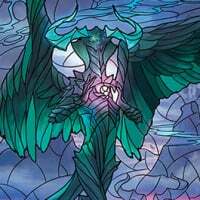 No new GRN events aside from an AXLN replacement? Man, we're certainly loving all of those Legacy events we've been running. Can't wait for more! I think the graveyard view is pretty well done, nice job guys! Can you please start showing the Creature, Spell, and Support slots available on new Planeswalkers at max level? Hmm good question! I'll be sure to ask the team when they're back in the office. I have never noticed that sub-forum, let alone those threads! And good eye! Thanks for the heads up. I've fixed that to display the correct ability name now. Stay tuned for Part 2 of our developer blog series tomorrow, where we will take you further into Ravnica and learn about the Guild mechanics. Guilds of Ravnica is scheduled to arrive in Magic: Puzzle Quest next week (week of November 12).